An exquisite classic design with silver embossed foil is always appropriate. 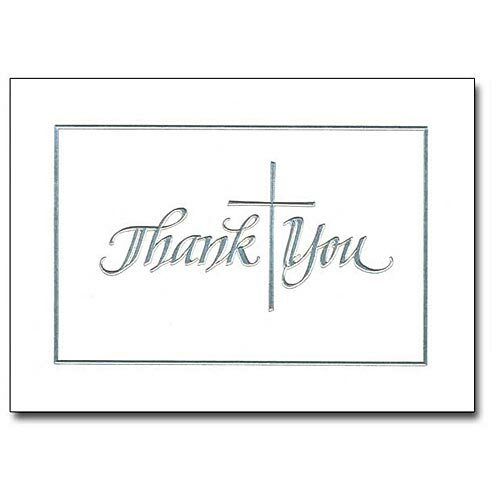 Convey your thanks in elegant style with a Christian flair. Folded size is 3 1/2" x 4 7/8". Cards come with matching envelopes.